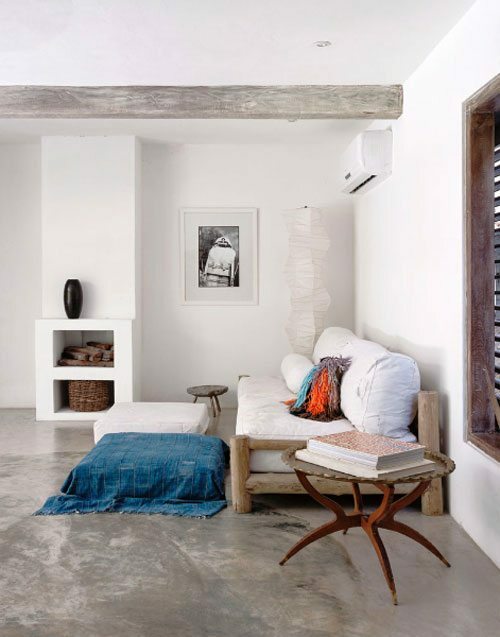 If I had to describe my ultimate dream beach house, this, featured in Elle Decoration a few years back, would be it! Earthy tones, white walls, splashes of green and Indigo, plenty of wood, a jaw dropping outdoor space where you can soak up a load of that precious vitamin D. Every room opens up onto the terrace! The décor is so beautifully simple, relaxing and I am in love. Beautifully photographed by Matthew Williams.